From lo-fi indies to glossy AAA releases, these are the Mac games to play from this year. Did you play new Mac games this year? If not, you missed out on some truly great, inventive, and exciting releases. While it’s still true that Macs don’t get quite as many games as Windows PC, or always as quickly, the release flow has improved steadily in recent years and we’re getting a nice mix of AAA heavy-hitters and a lot of the top indie games. Our monthly Mac games release column aims to put the latest and greatest titles on your radar, but if you haven’t kept close tabs on Steam, the Mac App Store, or other storefronts this year, consider this a cheat sheet: The 20 most intriguing Mac games from 2015. Give these a look, grab whatever strikes your interest, and stay tuned for more Mac gaming coverage in 2016. EA’s seminal SimCity franchise has taken some frustrating turns in recent years, but Cities: Skylines ($30)—from Paradox and Colossal Order—finally delivers the modern urban building sim that fans have been craving. And it goes big: Scale might be its strongest and more impressive asset, letting you concoct expansive, realistic, and functional cities that you then have the pleasure (and challenge) of maintaining. While the scope can be massive, Cities: Skylines thankfully also lets you dig into the nitty gritty of maintaining your metropolis, letting you tweak and enhance on the micro scale to improve city efficiency and resident happiness. And it has mod support, too, with a vibrant community of fans adding all sorts of entertaining content. 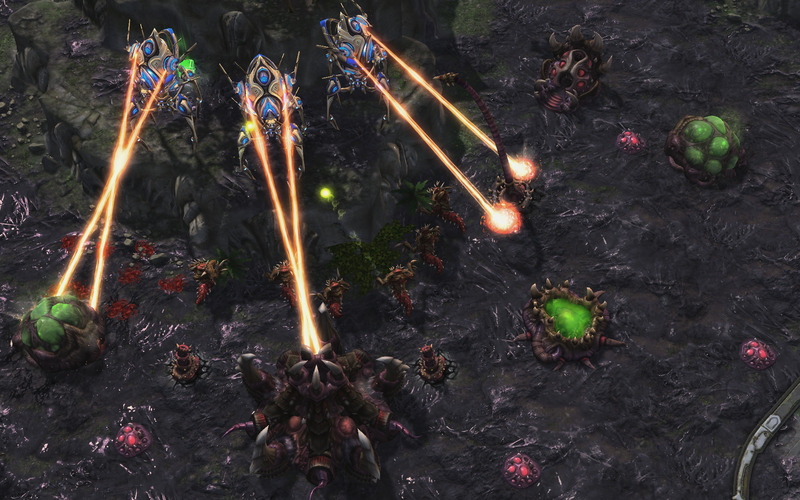 Blizzard’s beloved real-time strategy series made a return trip to the Mac this fall with StarCraft II: Legacy of the Void ($40), the third part of the trilogy-within-a-sequel. It’s a standalone expansion—although seriously, play the prior entries first—that shines a light on the Protoss race of creatures, with the storytelling praised as some of the finest seen within the series to date. Although the single-player campaign is strong and co-op missions are available, StarCraft as always is most widely appealing in its online multiplayer elements. 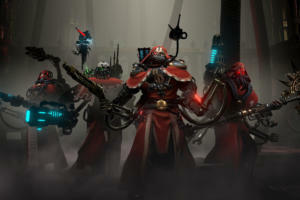 Every race has new units available, plus Legacy of the Void shakes up the usual starting approach, forcing even old fans to rethink how they tackle each match. It’s another strategy smash for Blizzard. Are you convinced that computer role-playing games hit their apex in the isometric glory days of Baldur’s Gate and Planescape: Torment? Good news: Pillars of Eternity ($45) hearkens back to those formative classics, and Obsidian Entertainment delivers a modern game that truly plays and feels like some of the best-loved genre entries of all time. The fantasy quest is sprawling and expansive, potentially spanning several dozen hours if you like, with entertaining combat, intriguing writing, and attractive graphics that put a current-day touch on the classic design. If you’re tired of the trend of overly cinematic role-players, then Pillars of Eternity might be just the old-school throwback you’re seeking. Titan Souls ($15) is a uniquely challenging test of skill and tenacity: It skips the “filler” you’ll usually find in action games between the big showdowns, and just sends you through a gauntlet of boss battles. Nineteen of them, in fact. And they can kill you with a single hit. What are you armed with? Well, a bow and one single arrow, which you can pick up and fire again. Doesn’t seem so fair, right? Well, that’s the point. However, the monstrous creatures can also be killed with a single attack, but you’ll have to seek out their individual weak points and target them. It’s a tricky and retro-gorgeous game, with influence seemingly pulled from console favorites like Shadow of the Colossus and Dark Souls. Running a space program is serious business, with potentially billions of dollars at stake, not to mention lives, jobs, and perhaps even the future of humanity. Fair enough. But Kerbal Space Program ($40) strikes an interesting compromise: It’s a realistic simulation of rocket building and space flight, albeit one wrapped up in a cartoonish skin and starring goofy creatures (Kerbals). After a few years of gradual refinement in an Early Access release, Kerbal Space Program hit a full 1.0 public version this year, and launched on Mac to rave reviews—even Elon Musk loves it, and he knows a thing or two about rockets. It’s a challenging sandbox affair that rewards those who experiment and tinker, and a delightful experience for those who overcome the tough learning curve. Off-road racing doesn’t get any better than Dirt 3 ($30), the culmination of Codemasters’ hit series. It’s a broad package that serves up a bit of everything: There’s racing on all manner of surfaces, including mud, ice, and—yes, indeed—dirt. You can take part in traditional outdoors races, rallycross circuits, and the new Gymkhana events, which send you speeding through obstacle courses to show off your driving skills. While it arrived a little late on Mac, the reward for waiting is that this Complete Edition already comes with all the bonus add-on content bundled in. And it’s still a great-looking game, from the realistic cars and environments to the sleek menus and presentation. A full 20 years after the last release, the Elite franchise returns with Elite Dangerous ($45), a modern take on the classic outer space combat flight simulation. You’ve got a ship and enough resources to start your journey, and then from there the path is yours to shape: You could follow the law and trade with honor, for example, or steal and be an outlaw and pirate. Whatever your actions, there’s a persistent world out there that’s affected by the in-game factions, and it’s a massive one too: The galaxy is fully modeled after our current-day Milky Way. If the idea of commandeering your own ship and building your own galactic legacy sounds appealing, check out Elite Dangerous and start writing your story in the stars. If you got caught up in Serial, then you might fall hard for Her Story ($6) as well. It’s a murder mystery (fictional, of course) wherein you’ll watch a treasure trove of old police interviews with one woman: The wife of the deceased man. Starring actress Viva Seifert, the video footage includes loads of clips across seven different interviews, touching on all aspects of their life together and his untimely demise. There’s no set path in Her Story: You’re allowed free access to this police database, and you can access clips in whatever order you want as you piece together your own understanding of what happened. It’s non-traditional, but totally gripping—you’ve really never played anything like this, and it’ll stick with you long after you “solve” the mystery. Vlambeer has a reputation for addictive lo-fi romps with loads of frantic action—see Super Crate Box and Luftrausers—and Nuclear Throne ($12) only continues that trend. As the indie duo describes it on Steam, the game is “a post-apocalyptic roguelike-like top-down shooter.” What does that mean? Well, your little mutated pixel hero runs through procedurally-generated stages blasting everything it sees. And if you fall, that’s it: In true roguelike fashion, perma-death is a defining element. Your goal is to try and survive long enough to make it to the titular throne, which requires a herculean effort and a fair bit of luck. Nuclear Throne is tough, but that’s the big part of the hook: If it were easy, you wouldn’t feel compelled to play over and over again for the slightest bit of improvement. Like a lot of pop culture franchises, J.R.R. Tolkien’s The Lord of the Rings hasn’t generated a lot of great video games—pretty much par for the course for licensed fare. But Middle-earth: Shadow of Mordor ($50) is thankfully the exception to that rule, delivering an epic, action-filled quest for Mac players to savor. As Talion, a warrior slain with his family but magically resurrected, you’ll utilize his considerable human talents of fighting and free running along with his new spiritual ability to enter the ghost world. Shadow of Mordor resembles the hit Assassin’s Creed series a bit, but is strongly infused with this beloved fantasy world, and has a neat Nemesis system in which enemies have distinctive traits. This “Game of the Year Edition” also has all the add-on content included. Telltale Games’ modern adventure template has been used to power hit adaptations of The Walking Dead and Game of Thrones, but Tales from the Borderlands ($25) is something different: A total reimagining of another game made by another studio. And it’s excellent. Better yet, you don’t even have to be a fan of Gearbox’s Borderlands shooters to get a kick out of this grimly hilarious tale. The five-episode season—sold all together on Mac—spotlights a couple of selfish antiheroes whose paths unexpectedly cross. Rhys is a corporate suit at the evil Hyperion, while Fiona is a con artist on the planet of Pandora, and you’ll often experience the storyline very differently from each person’s perspective. Lively and funny dialogue drives the dueling narrative design, and your decisions help shape this amusing adventure all the way up ‘til the end. Some places might be better where it’s wetter, as Sebastian from The Little Mermaid promised, but that certainly doesn’t apply to PATHOS-II, the setting of SOMA ($30). The underwater research facility plays host to machines that start displaying human characteristics, and as you might expect, things get creepy in a hurry. Like, really creepy. And that’s par for the course for developer Frictional Games, which previously made the horrifying Amnesia games. 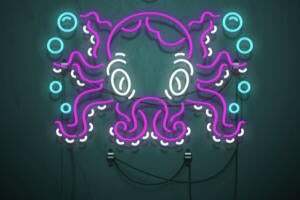 The beneath-the-sea setting and thick helping of atmospheric dread might remind some players of BioShock, but there’s no combat here: You’ll have to rely on stealth and puzzle solving to get through this terrifying adventure. Keep a light on, maybe. Turning Jules Verne’s classic Around the World in 80 Days into a steampunk-infused interactive fiction experience was a stroke of genius for Inkle, and now 2014’s awesome iOS game is just as strong on Mac. Keeping with its inspiration, 80 Days ($10) puts its biggest focus on dialogue and storytelling, letting you make tactical decisions along the way as you try to complete the time-limited trek. Each city you step foot in brings new opportunities: People to meet, adventure to find, routes to discover, and things to buy and sell. How you navigate all of those things helps determine the course of your journey, and the rich narrative means there’s rarely a dull moment along the way. And with all those options generating very different results, 80 Days is endlessly replayable, as well. Heroes of the Storm (free) leverages Blizzard’s diverse array of huge franchises to deliver a League of Legends-esque multiplayer online battle arena (MOBA) game stocked with fan favorites. You can play as and against characters from StarCraft, Diablo, Warcraft, The Lost Vikings, and the upcoming Overwatch, and it’s considered one of the most accessible entries in the genre—which bodes well for Blizzard fans getting their first taste of a MOBA. Otherwise, the approach is much the same: The free-to-play game drops you into five-on-five team battles in which you’re trying to topple the opposing base. It’s a freemium affair, which means you’ll have opportunities to spend to boost your fun. However, with a rotating selection of playable heroes, it’s still entertaining even if you don’t pay to play. 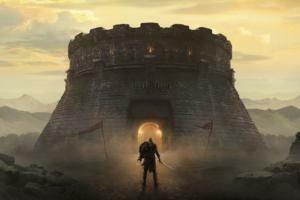 While turnarounds generally seem much faster in recent years, it can still take a long time for some great games to hit Mac after their PC debuts. Torchlight II ($20) is a particularly notable example: The original was a Mac favorite, but the sequel took two and a half years to hit Apple computers. But this is a rare case in which a 2012 game still lands well even in 2015. 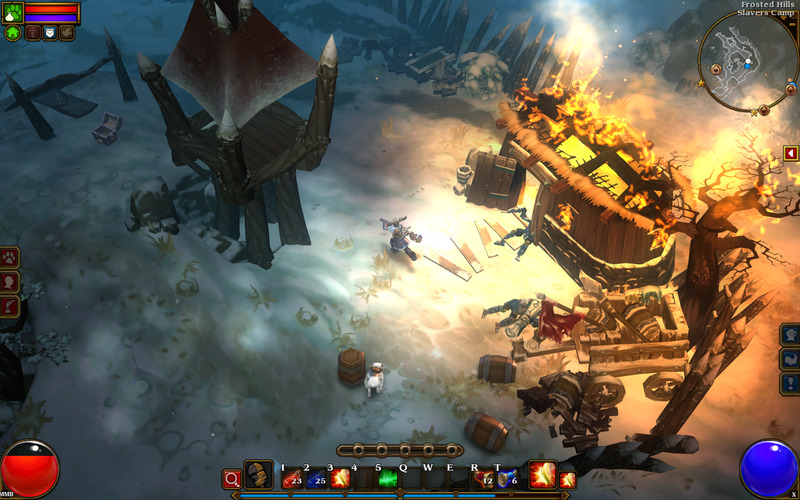 Like the first game, Torchlight II’s biggest influence is Blizzard’s celebrated Diablo series, delivering an engaging and colorful hack-and-slash, loot-gathering, and dungeon-crawling experience. 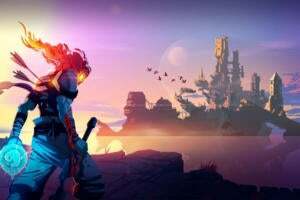 It’s arguably just as fun, and comparatively low-priced as well, with the addition of multiplayer support over the original giving it a nice new hook. It’s a tough job, but somebody’s gotta do it—why not you? If you’re up for it, Prison Architect ($30) not only puts you in the role of the person designing the layout of the ever-expanding corrections facility, but also the one running the show all the while. Can you keep your inmates in line as they scheme to break free and exploit weaknesses in your designs? Prison Architect really struck a cord with players this year because of its open-ended design, but also because you can really shape the tone of the experience. Want to play it for laughs? Sure, you can. But you’d rather play with an understanding of the grim nature of the modern prison-industrial complex, then it can be a brutal recreation of a broken system. It’s your call. It’s one of the highest-rated games of the year on any platform, according to Metacritic, and GameFAQs users just voted it the best game of all time: it’s… a Super Nintendo-like role-playing game? True story. Undertale ($10) more or less came out of nowhere to become a huge smash this fall, winning players over with some unconventional twists on the old-school RPG. For example, you don’t have to fight in the battles, which play out like a top-down shooter: You can make it through the entire game without killing a single enemy, if you’d like. Undertale is also loaded with humor, whether it’s referencing Internet culture or past role-playing greats. It doesn’t look like much in screens, but people are head-over-heels in love with it. Maybe you will be too. Much like Middle-earth: Shadow of Mordor did for its own franchise, Alien: Isolation ($60) puts a stop to middling adaptations of the classic film series. It’s a proper survival tale that puts you in the boots of Amanda Ripley, daughter of original heroine Ellen, as you try to stay alive amidst various threats—namely a single, utterly terrifying alien aboard the space station Sevastopol. Alien: Isolation nails the sense of dread from the original Alien film, blending stealth and survival horror elements into a potent concoction. Much of its success comes from the look, which almost perfectly matches that of the film. And this collected edition also includes the add-on content from other platforms, including missions that put you amidst the crew of the first film—Ellen Ripley (Sigourney Weaver) included. It’s Neo-San Francisco in 2064, and you’re a journalist struggling to make ends meet. Into your apartment walks a sentient robot, the first of its kind, whose creator—your old friend—has just gone missing. What do you do? Well, you follow the story, of course. That’s the setup for Read Only Memories ($15), an enchantingly colorful cyberpunk adventure inspired by the point-and-click greats. 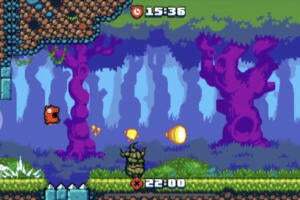 The premise is interesting and the writing and dialogue sharp and snappy, but this indie charmer makes its biggest impact with presentation: The sharp pixel graphics are a perfect throwback to the Sega CD era, and the soundtrack is an ideal complement. It’s like a great ‘80s anime made interactive and memorable. Easily the least traditional game on this list, The Beginner’s Guide ($10) hails from The Stanley Parable creator Davey Wreden, and similarly delivers an unexpected first-person narrative game. Here, you’re exploring the game creations of Wreden’s friend Coda, walking through each partial map or world as Wreden himself narrates. From these rough levels, we learn something about Coda… or maybe about Wreden. Confused? Well, the game is fully open to interpretation. Coda surely isn’t a real person, but is he a fictional character, or is Wreden really talking about his own self and insecurities before The Stanley Parable became a million-selling success? While not heavy on interaction, The Beginner’s Guide will make you think, feel, and question what you’re seeing, and it’s truly a one-of-a-kind experience.